Say Goodbye to Acne with the help of the A.Helper Spot! The I’m A. Helper – Spot is designed with Kalopanax septemlobus extract for an all-natural formula that treats & prevents acne at the root! Known for its effects in treating skin troubles, the Kalopanax septemlobus extract, combined with other natural ingredients like Kava kava, Centella asiatica, Tea Tree, and Aloe extracts, the I’m A. Helper – Spot quickly acts to prevent secondary infections while treating acne and irritations to improve and prevent scarring on a cellular level. 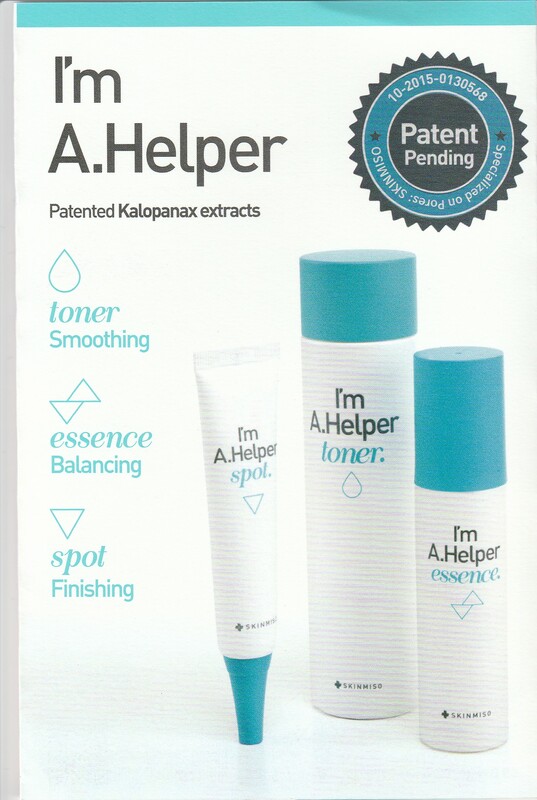 After using the I’m A. Helper Toner and Essence, apply an adequate amount to target areas of irritation / skin trouble.